Search Defense states that it can recognize online threats and block their activity, so that you could browse the web in a safer manner. Even though it is important to keep your operating system guarded against the dangerous threats that can attack your PC without any warning, you should not trust Search Defense to serve you beneficially. In fact, you should delete this program if you have installed it onto your PC, simply because this program has no potential to assist you. Learn how to remove Search Defense by reading this report. It is impossible to download Search Defense from its official website search-defense.com. If a user clicks the Download Now button, a notification indicating that the extension is under maintenance will be displayed. Then how did Search Defense enter your operating system? If you have installed the app packaged with other programs, you need to make sure that they do not require removal. Needless to say, if Search Defense comes bundled with malicious or unreliable programs that must be deleted, it should be clear that the app cannot defend you against any virtual threat. You can find a manual removal guide below. This guide will help you delete Search Defense from your operating system. Unfortunately, the applications associated with this adware are unpredictable. If you cannot delete the unreliable software manually, we recommend confiding in automatic malware removal software to clean up your operating system and reinstate reliable protection. Needless to say, you need to take care of the system’s protection even if you remove Search Defense manually. If you do not install software that will safeguard your operating system, other threats will find a way sooner or later. As you probably know, the web is filled with programs much more dangerous than Search Defense, and removing them is not as straightforward. Tap Win+R to launch, enter Control Panel into the Open box, and click OK. Select Uninstall a program and right-click the application you wish to delete. Click Uninstall to get rid of Search Defense and scan your operating system. Navigate to the left of the Taskbar and click the Windows/Start button. Right-click the app you wish to remove, click Uninstall, and scan your PC. Navigate to the left of the Taskbar and click the Start button. 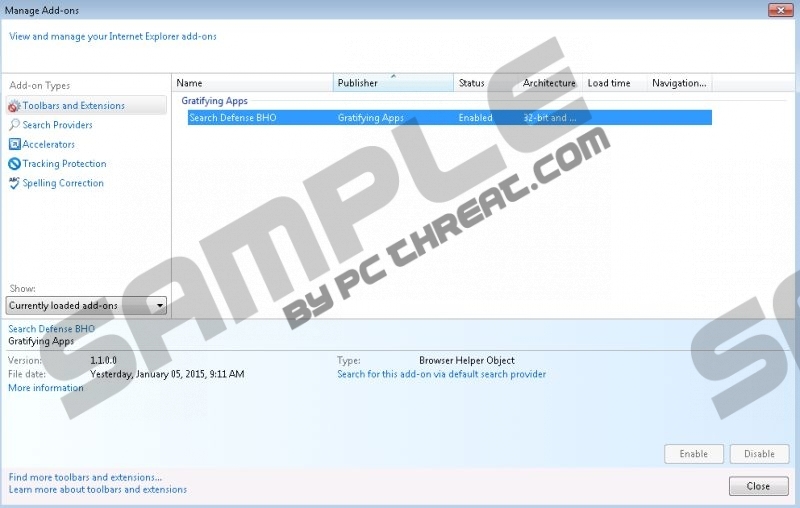 In the Change or Remove Programs menu Remove Search Defense and then scan your PC. Quick & tested solution for Search Defense removal.